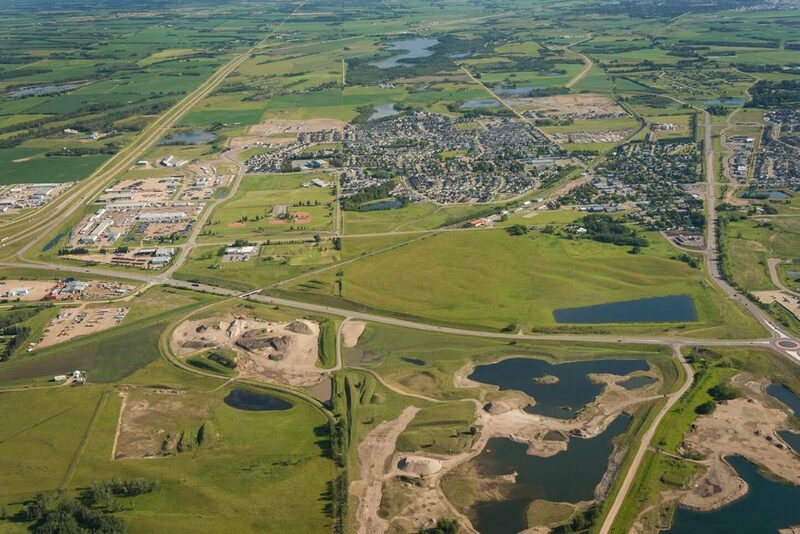 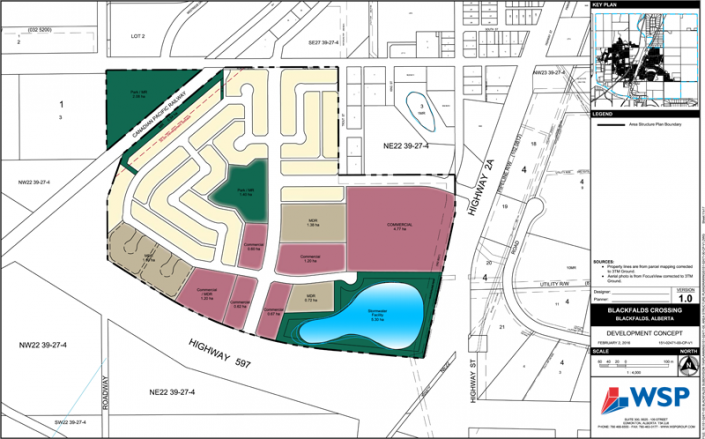 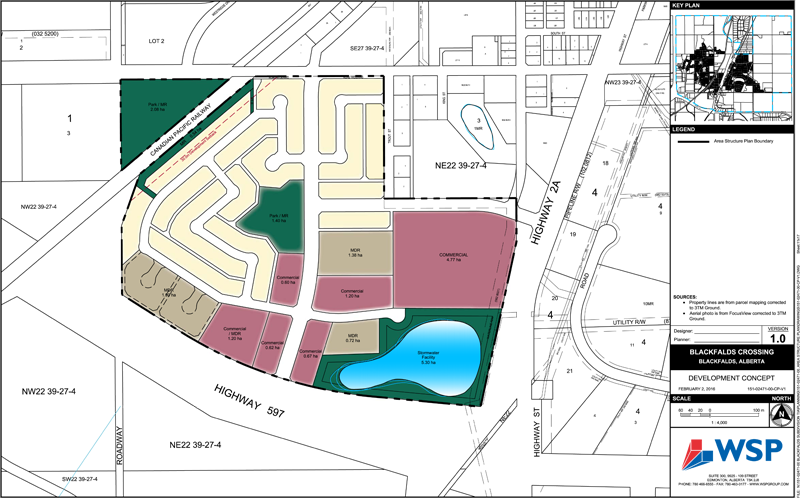 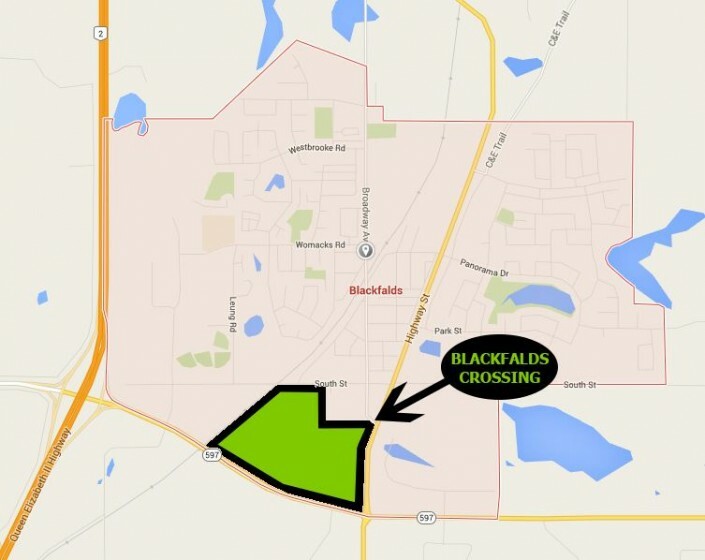 Blackfalds Crossing will create 100 acres of commercial, residential, and park land: conveniently located on Highways 2A and 597, this boutique neighborhood will become the “front door” of the Town of Blackfalds. 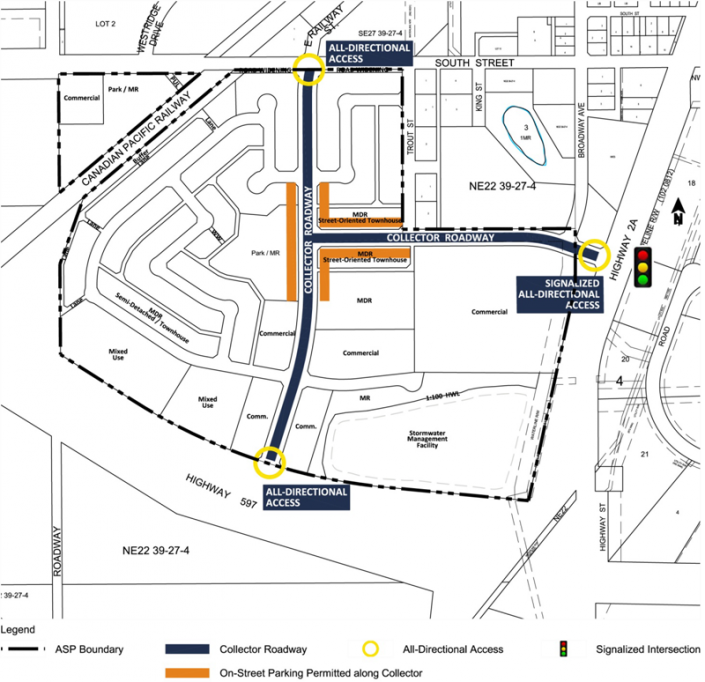 Residents will benefit from close proximity to its commercial amenities, the Abbey Recreation Centre, All-Star Park, and a future school location. Intersection construction related to the first commercial phase is planned for Summer 2017.